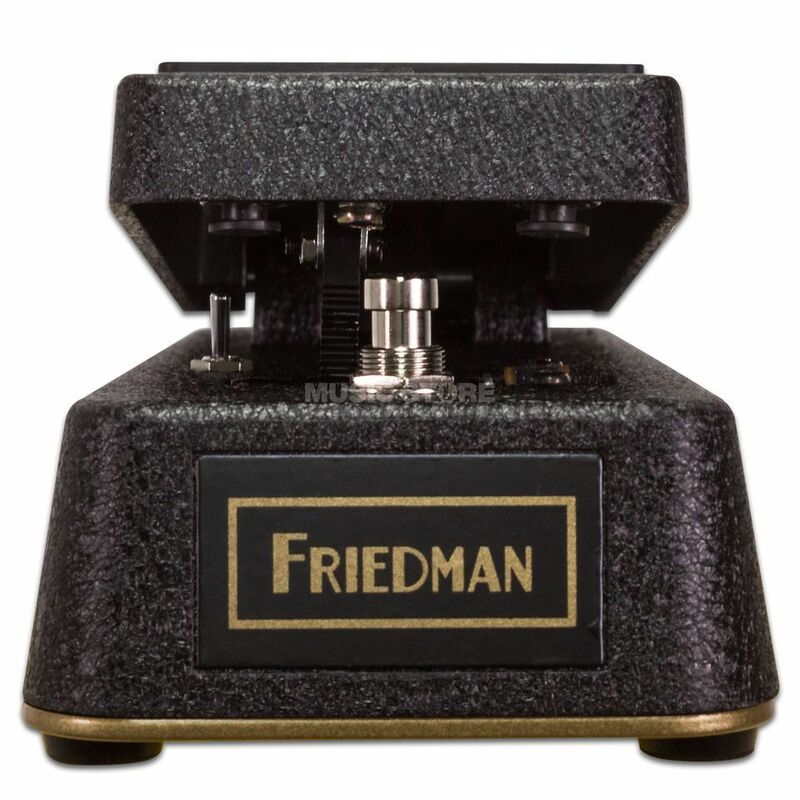 The Friedman No More Tears Gold-72 Wah is a Wah pedal that can be applied to almost any rig, with additional functions. Built in the classic Cry Baby style, the Wah features a 3-way toe-to-toe footswitch that offers 3x different sweep ranges; from the popular vintage model to a wide modern sweep to a narrow frequency range for vocal sounds. A great trick with this Wah is to use it as a filter effect with longer pedal chains, boosting or cutting frequencies on the fly. The No More Tears Gold-72 Wah also includes a switchable internal buffer to keep the signal clear and powerful all the way through to the amp.